Scientists from the Center for Molecular Electrocatalysis have built two iron-based compounds that help protons move from the exterior to where they are needed. Once delivered, the protons bond with molecular oxygen and create water. Results: Pushing protons around may sound like a small task, but it is a big part of energy independence for the United States. Moving four relatively large protons to where they are needed is easier if you build a path, as is being done by scientists at the Center for Molecular Electrocatalysis. The research team has built two iron-based compounds that help protons move from the exterior to where they are needed. 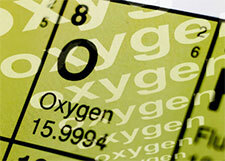 Once delivered, the protons bond with molecular oxygen, O2, and create water. In previous compounds, the protons often don't arrive in time or go to the wrong place, which leads to forming the unwanted byproduct hydrogen peroxide (H2O2). The new compounds direct the protons in ways that help separate the two oxygen atoms in O2, and thereby drives the reaction to completion. "While water is the end product, it is not the goal of our work. These studies show that we can take the knowledge that the Center for Molecular Electrocatalysis has learned for reactions that move two protons and apply that knowledge to the challenge of relaying four protons," said Dr. James Mayer, an expert in proton-coupled electron transfer reactions and a professor at the University of Washington, who led this research. Why It Matters: Understanding how to move protons efficiently lets scientists design new materials that can turn electrons generated by wind turbines and solar farms into fuels, creating easily transported, use-any-time alternatives to coal and oil. "We want to generate as much power as we can when the conditions are right and store the energy," said Dr. Monte Helm, Deputy Director for the Center for Molecular Electrocatalysis. "This research is directly related to storing that energy in chemical bonds, so we can get the energy out at a future time, when necessary." Methods: The researchers began with a ruthenium compound. They experimented with the best location to place the relay in the material to deliver protons, which move by a different route than the electrons needed in the reaction. The researchers went on to design two iron-based, selective compounds that work quickly and efficiently through the entire oxygen reduction reaction, turning oxygen into water. "It's a proof of concept that we can do this with cheap metals and provides promise for moving the science forward," said Helm. What's Next? At the Center, researchers are continuing to improve the compounds' oxygen reduction performance, working to make it faster, to produce less of the unwanted hydrogen peroxide, and to make it more efficient. They are also determining if the new insights they've developed can be applied to a reaction that requires the movement of six protons. Sponsors: This work is supported as part of the Center for Molecular Electrocatalysis, an Energy Frontier Research Center funded by the U.S. Department of Energy, Office of Science, Office of Basic Energy Sciences. Research Team: Colin T. Carver, Benjamin D. Matson, Tristan A. Tronic, Werner Kaminsky, Michael K. Coggins, and James M. Mayer, Center for Molecular Electrocatalysis. Team members are from University of Washington, a partner in the center. They collaborated with Amber Von Ruden, Jenny Y. Yang, and Simone Raugei of PNNL. Matson BD, CT Carver, A Von Ruden, JY Yang, S Raugei, and JM Mayer. 2012. "Distant Protonated Pyridine Groups in Water-Soluble Iron Porphyrin Electrocatalysts Promote Selective Oxygen Reduction to Water." Chemical Communications 11100-11102. DOI: 10.1039/C2CC35576K.